This winter SERIOUSLY WON’T END. I think we had approximately two nice days this month, and for all the rest we had to bundle up in snow pants, winter coats, mittens and hats to go outside. (Not that we went outside much. I’m too bitter most of the time so we just stay inside and sulk). We went to the beach one Sunday morning to collect stones for a project, and there was so much snow that even though the path to the beach was gated off, the three of us easily walked right over it — the snow pile reached to the top of the gate. Here’s hoping that April will finally bring that long-awaited sunshine, warmth, and greenery. On the one hand, I really appreciate a lot of the information in this book, especially the bits and pieces that have helped add to my understanding of my fertility issues. I’m always adding pieces to the puzzle, and this book contributed in some interesting ways. 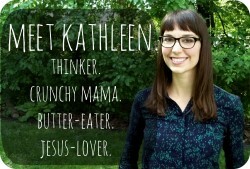 There’s some great advice, and I’m really excited about her idea of syncing our lives with our cycles — i.e. understanding and embracing the phases of our feminine cycles, and working with them to flourish. It sounds beautiful and productive. I guess I just wasn’t crazy about the whole “Follow my five-step program and your life will be GLORIOUS!!! !” approach. I’ve been inundated with this kind of talk from self-help books for years and it immediately makes me wary. But if you can look past that, and don’t mind skimming here and there, I think this books has some valuable stuff to say about improving hormonal health and getting in tune with your body to enhance balance and energy. After a few rather mediocre library hauls, I finally made a list of book recommendations from people I trust and ended up with a pretty sweet haul of library books for the munchkin. 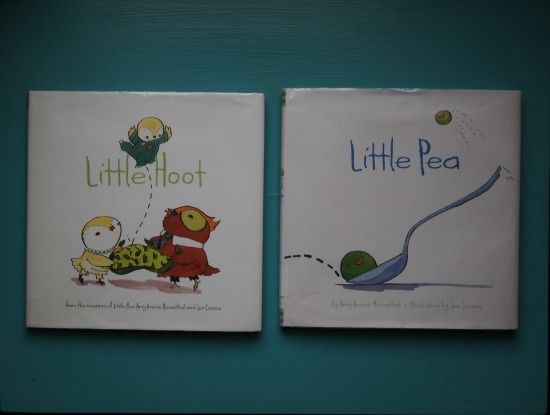 Little Hoot and Little Pea – Amy Krouse Rosenthal and Jen Corace. These books are adorable in every way. Lydia doesn’t quite get the humor (Little Hoot wants to go to bed but his parents say he has to stay up and play; Little Pea doesn’t want to eat his candy but his parents won’t let him eat his spinach until he’s done); but she still loves them. And I don’t hate re-reading them twelve times a day, so that’s a bonus. These books are all better as bedtime stories (as opposed to bathroom/reading nook books), since they’re longer and the illustrations are more detailed, inviting a more lingering gaze. 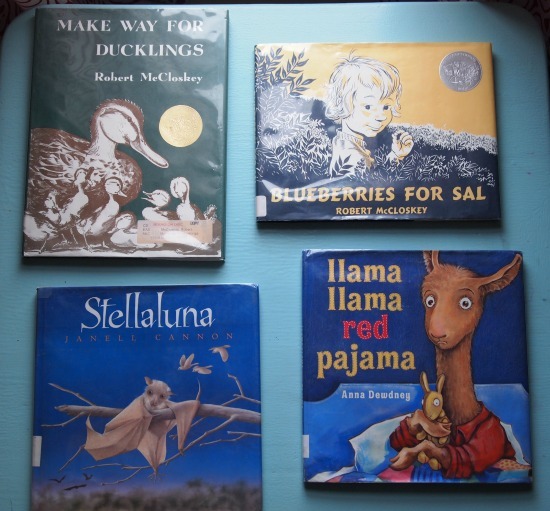 Make Way for Ducklings – Robert McCloskey — beautiful, classic illustrations; charming story. Lydia loves to shout “Qua-a-ack!” every now and then throughout the day just to catch me off guard. Blueberries for Sal – Robert McCloskey — I don’t know why I’m so drawn to these classic, black-and-white illustrations. All I can say is this author didn’t win half a dozen Caldecott Medals and Honors for nothing. 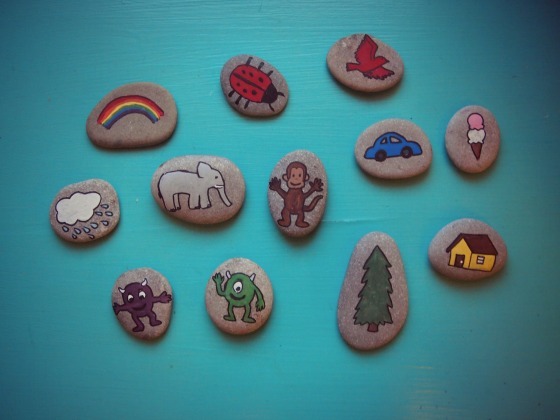 This cozy story about a toddler and a little bear getting their mothers mixed up on blueberry hill delights my daughter every time. Stellaluna – Jannell Cannon — absolutely delightful. Stellaluna found her way into my heart upon the very first reading. So I don’t even mind that Lydia has chosen this book as her bedtime story every night for the last week. Llama Llama Red Pajama – Anna Dewdney — the rhymes in this book are fun to read and easy for little ones to memorize, so everyone can join in. And I chuckle every time we get to the page where Mama Llama leaps from the phone and races to her screaming baby llama — almost losing her pearls on the way — just to find him sitting quietly on his bed. Hilarious. The Story of Ferdinand – Munro Leaf and Robert Lawson — Of course this pacifist loves this charming classic tale about the gentle, nonconformist bull who wouldn’t fight in the bullfights. And happily, my daughter loves it too. We’re going through another Walk Off the Earth phase in our family. I can’t get enough of their upbeat melodies and creative videos. Their music videos on Youtube are all Lydia wants to see. Big Bang Theory and Parks and Rec remain staples in our weekly viewing cycle. But I cannot WAIT until it’s warm out and we’re too busy visiting the beach and taking long strolls around the neighbourhood to watch TV. We’ve also continued to work our way through Freaks and Geeks. I just love Bill so much. I pretty much just watch it for him. Shut up. We didn’t see a single movie this month. We still haven’t seen Frozen or Lego Movie, which apparently are the best movies ever. What is wrong with us. And that was our month in a nutshell. What have you been into? Have you had nicer weather? If so, I DON’T WANT TO HEAR ABOUT IT. As usual, Linking up with Leigh Kramer! I really enjoyed Firefly. It’s a cult classic so it tends to get referenced on other TV shows, especially ones that star some of the same actors like Chuck and Castle. It’s worth watching just to get the references. – We LOVE Freaks and Geeks. Another series you may like is Aaron Sorkin’s old show, Sports Night (you don’t at all have to like sports to love the series). Thanks for the recommendations, Rebecca! You know what’s interesting? I love Ellen Barrett’s exercise videos! They’re the only ones I’ll do!! A friend lent me hers last year and I loved it so much, I got another one out of the library this year and looked her up online. I’ve tried lots of workout videos but hers are by FAR the best I’ve ever done. I’d be very interested in learning more from her! I’m not familiar with Natasha Wing; I’ll check her out! The weather here in Ohio has SUCKED. Even though I’m in the southeastern corner. We’ve had a few milder days, and I took full advantage of them to wear my dresses and skirts, which I always miss in the winter months. Yesterday was gorgeous, but today it’s colder and greyer. Blah. Stick with Firefly. My first time through, it took me a while to get hooked, but since then it’s seriously changed my life. Well, not as much as Doctor Who, but that’s beside the point. I’ve been really into Buffy the Vampire Slayer lately. I love Joss Whedon and decided it was time to finally check out Buffy. Love. It. Seminary and traveling to and from Columbus and Cincinnati have seriously limited the time I have for reading for fun, so I’ve mostly been reading one of my favorite Harry Potter fanfiction authors (I think she lives in Canada now too!) and catching up on my many blogs. Here’s hoping that April finally brings us some warmth and sunshine, and not just more rainy days. 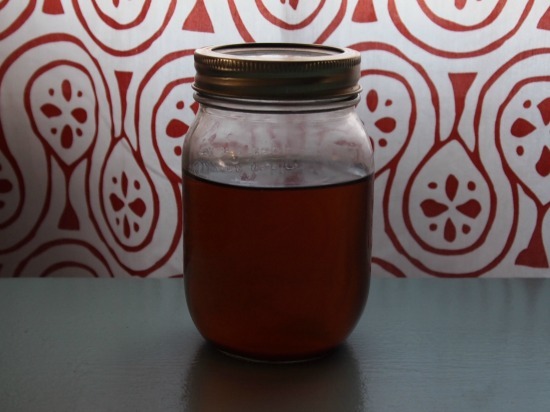 Yay for homemade maple syrup! 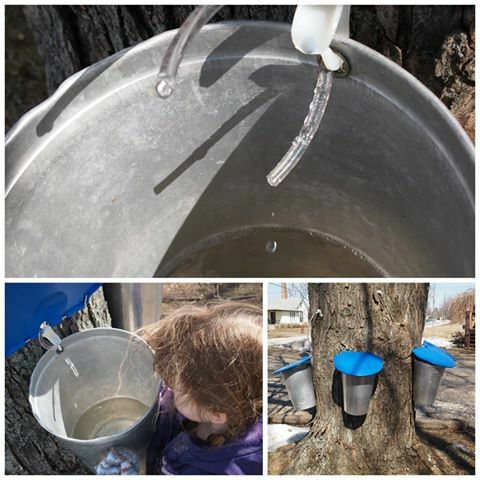 I would love to have a maple tree some day so I can do that myself. Walk Off the Earth is the BEST. I don’t know how I missed their video for Happy but it is fantastic!